The Pre-Health Program at WPI is not your traditional path to admission to medical, veterinary, and dental school, but that’s what makes it so effective. An undergraduate degree from WPI and participation in WPI’s Pre-Health Program will set you apart from the thousands of other applicants, because the best medical professional is a well-rounded one. You'll be encouraged to follow your passion here and pursue any of our undergraduate majors while working to complete the prerequisites for your chosen professional path. “Pre-Health” refers to students interested in any health profession, including medicine, dentistry, veterinary medicine, and more. At WPI, Pre-Health is not a major. We encourage you to choose a major that you are passionate about and take Pre-Health courses alongside your degree requirements. There are no “required” courses for Pre-Health students. Instead, you will work with a Pre-Health Advisor to create an individualized plan that will allow you to complete your major requirements while also fulfilling the appropriate prerequisites for your desired professional program. At WPI you will be immersed in a project-based learning environment. Through your three required projects (Humanities & Arts Requirement, Interactive Qualifying Project, and Major Qualifying Project), you will have the opportunity to gain real-world experience, work as part of a team, and build a resume that is both impressive and unique. Assured acceptance to health professions programs at the Massachusetts College of Pharmacy and Health Sciences (MCPHS). Each of the above programs has specific criteria that students must meet in order to take advantage of these opportunities. For more details about these programs please contact Pre-Health Advisor Elizabeth Jacoby at prehealth@wpi.edu. While we do not require particular courses for Pre-Health students, you are encouraged to meet with the Pre-Health advisor to design a plan to fulfill the prerequisite courses for your post-graduate program of choice. Below are some common prerequisite courses for various programs, which is intended to give you a general idea of what to expect. Keep in mind that prerequisites vary by school and program. For school specific information, students should refer to the admissions requirements section of a particular school’s website. We encourage you to meet with the Pre-Health Advisor to create an individualized plan for course selection and browse the Pre-Health Canvas Site for additional resources. If you do not already have access to the canvas site, please email the Pre-Health Advisor at prehealth@wpi.edu. Pre-med: Medical schools typically require a year (or three terms at WPI) of Biology, Chemistry, Organic Chemistry, and Physics- all with sufficient lab work. Many also require English or Writing courses. Other courses that are helpful for MCAT and medical school preparation (required or recommended by some schools) are Biochemistry, Social Sciences, Humanities, Ethics, and Statistics. Please meet with the Pre-Health Advisor or reference the Medical School Admission Requirements for more specific information about prerequisites. Best resource for getting started: Association of American Medical Colleges (AAMC). Pre-dental: Dental schools typically require a year (or three terms at WPI) of Biology, Chemistry, Organic Chemistry, and Physics- all with sufficient lab work. Some dental schools require additional courses, such as English composition, anatomy and physiology, microbiology and biochemistry. Many schools strongly encourage applicants to take courses in the arts and social sciences. Best resource for getting started: American Dental Education Association (ADEA). Pre-vet: Veterinary programs vary in required coursework, but some common requirements include Biology, Zoology, Inorganic and Organic Chemistry, Physics, Biochemistry, English or Writing, Humanities and Social Sciences, and Statistics. See the AAVMC’s official prerequisite chart for more specific information by school. Best resource for getting started: Association of American Veterinary Medical Colleges (AAVMC). Career Exploration: If you think you want a career in healthcare but have not decided on a specific path, talk with your Pre-Health Advisor and/or WPI’s Career Development Center (CDC). In the fall, the CDC and the Office of Academic Advising co-host a Graduate and Professional School Fair where you will have the opportunity to meet with representatives from various health professions. ExploreHealthCareers.org is also an excellent place to begin learning about the many possible careers in the health field. Entrance Exam Guidance (MCAT, DAT, GRE, etc. ): Each kind of professional school requires an entrance exam score as part of your application. 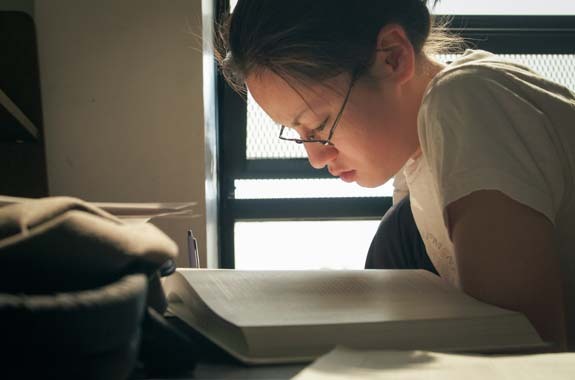 Your Pre- Health Advisor can help you determine which exam to take and when to take it, which study tools may be best for you, and how your scores will factor into the admissions process. Application Support: Applying to professional school is an intricate and labor- intensive process. The Pre-Health Advisor and Pre-Health Committee are here to support you by providing committee letters, clarifying admissions requirements, conducting mock interviews, and more. Student Organizations: At WPI, we have several student groups that will help you connect with like-minded peers and provide professional networking, volunteer opportunities, and other beneficial programs. Some of the groups include Mu Sigma Delta (MSD), WPI’s Pre-Health Society; Alpha Epsilon Delta (AED, a National Health Pre-Professional Honor Society); Promotion of Animal Welfare Society (PAWS); and Global Brigades. Veterinary School: See individual school policies. Not all individuals elect to attend professional school directly after their undergraduate studies. It can be extremely beneficial to take a “Gap Year” in order to finish prerequisite courses, gain experience and exposure to health care, conduct research, participate in volunteer programs such as AmeriCorps or Peace Corps, or work full-time in another industry altogether. Alumni of WPI are welcome to utilize the services of the Pre-Health Advisor and the Pre-Health Committee. They may apply for a committee letter at any time after graduating WPI and will be given advice and support. If you are a graduate of WPI and interested in applying to a Health Professions program, please email Elizabeth Jacoby at prehealth@wpi.edu.